An Engineer is someone who strives to make the world a more beautiful. Providing better lives to people. Focusing on people and meeting their happiness. 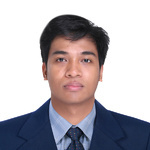 I am Kevin Rojas, a Philippines-based freelance engineer. I am highly skilled,enthusiastic,self-motivated professional engineer with a great successful experience of 4 years. My education and actual practice on the field has made me a better professional civil engineer. I am a graduate of BS in Civil Engineering and I have work in private/government companies and this will help me to perform according to my client's expectations. I am very skilled in producing 2d drawings and 3d models and other architectural design. I have also working knowledge in doing structural analysis and design. Prepares bill of materials, estimates and costing. I believe in hard work and honesty. My focus is helping the client. It is important to me to build long term relationship with the client to ensure that every project becomes successful. I'm flexible with my working hours and I'm happy to work closely with you.